The 5 gallon fish tank is a small one but filtration is still an important part of the equation – even more so when you’re working with delicate fish like bettas. Debris and impurities can mount up quickly. And as bettas are one of the more popular fish for beginners, they need the right kind of care and attention to ensure their tank keeps them healthy and safe. But how do you know which one is the best betta fish filter? In this article, we’ll take a closer look at why filters are important in your small betta tank and we’ll also review five best aquarium filter for a small fish tank to help you choose the right one. What kind of filter can you use in your tank? Do bettas need a mechanical filter? 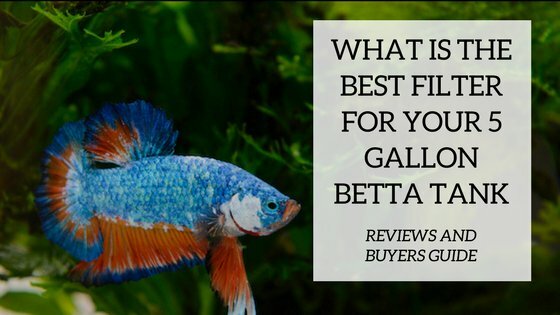 In this section, we’ll review five products to help you choose the best filtration option(s) for your 5-gallon tank of bettas. If you’re looking for something that has the benefit of being a living plant, a biological filtration device, a toy for your bettas and an adorable low-maintenance aquarium ornament to boot, then marimo moss balls are a great option to consider. These moss balls are gorgeous décor items, but they are also live plants that absorb nitrates from your tank, including phosphate and ammonia. And as they’re a living plant, they help to oxygenate the water. You can choose sizes from “nano” (about the size of an M&M) through to “giant” (about the size of a tennis ball). Marimo moss balls are completely natural and eco-friendly. The best varieties aren’t dyed or painted – it’s 100% natural moss. That means they’re safe in your tank and they’ll need both some light and freshwater to survive. It also means that you’re shipped a live plant in a plastic container filled with moisture – so don’t delay in getting it open and into your tank. Give it a gentle wash first and then submerge it in the aquarium right away. You should also rotate them regularly so that they don’t develop brown “pressure” spots from always sitting in the same place. As marimo moss balls are a natural item, they aren’t always as perfectly spherical as they might appear in photos, and they can have small brown spots on the surface. Don’t be disappointed if this is how yours look. In fact, watch out for marimos that are perfectly round and lush green all over, as these could be artificial or enriched with pesticides. Marimo moss balls have the added advantage of helping to reduce algae growth. They like to eat the same nutrients as algae, and so by absorbing the available nitrates, phosphates and ammonia, they inhibit the growth of any competing algae. They’re also snail-proof and won’t get eaten up. Last but certainly not least, most bettas love to move things around as part of their natural behaviour habits. They nose around them, lie in their shade, snuggle up against their sides – it’s wonderful to see bettas expressing their natural habits around a marimo moss ball. Like everything though, there’s no guarantee – you might find your bettas completely ignore it! But at least when you’re adding a moss ball you’re also enriching the environment of your aquarium by providing opportunities for play and stimulation. For a quiet mechanical filter that does the job quickly and effectively, the Aqueon Quietflow E Internal Power Filter 10 can be a good choice. Mechanical filtration – with a coarse media sponge that collects particles and debris. A word of warning before we go any further though – this filter has a higher flow rate than other products. Make sure you consider the 10-100g model or choose the mini “10” version so that you don’t accidentally end up with a 50 – 400 gallon monster. You can also manually adjust the flow rate, even on the mini model, so that your bettas aren’t being spun around in the tank. This article will provide you some insights on how effectively reduce the flow rate of the filter. This filter has an auto-start pump that doesn’t need any priming, and even better, it will automatically restart if the power is interrupted and then restored. If you’re going away on holiday, for example, a filter like this can help you to relax knowing that a short power outage won’t affect the filtration in your tank. The filter uses Aqueon replacement filter cartridges in the small size, which can be easily found online. Another good option for your 5-gallon betta tank is the AquaClear Power Filter 110V, in the 5-20 gallon model. This filter has a gentle water flow, so your bettas can swim around calmly and safely. It’s quiet and sits on the outside of the tank using a hang-on system, so it doesn’t take up valuable space inside. The AquaClear Power Filter uses continuous biological filtration via foam and carbon BioMax filter inserts. This preserves healthy bacteria in your tank while removing toxic chemicals such as ammonia and nitrates. Because you’re never throwing away a cartridge, you keep all the beneficial bacteria in place and doing their job. This ensures a good continuity to your water environment as the filter doesn’t need to re-colonize. A special BioMax ceramic ring on the top level, which has a complex pore system designed to help healthy bacteria grow and thrive. Be aware that this is a high-maintenance filter, and expenses can add up. It’s recommended that you clean this filter at least every two weeks, and replace the inserts every month (carbon insert), two months (foam insert) and three months (BioMax insert). If you’re looking for a filter that won’t make any noise at all, a standard foam filter can be a good choice. The Bacto Surge High Density Foam Filter is a small mechanical/biological filter that works well in tiny tanks and small aquariums. Healthy bacteria live on the foam and process chemicals and other nasties out of the tank water. As it doesn’t pump any water, there’s no current to stress your fish – just a delightful stream of bubbles. At 5 x 5 x 6 inches, it’s a little chunky – and it’s black in colour, so be careful where you place it if you’re aiming for optimum good looks. The filter has a weighted bottom, so it will sit where you put it. But if you find that it’s floating, just squeeze it so that it fully absorbs the water and it will sink back down. Sponge filters do need regular cleaning, at least every week to 10 days, especially in a small tank. 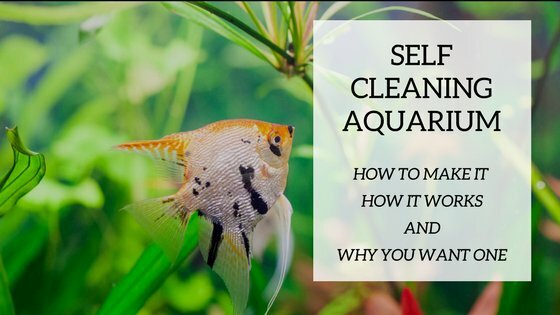 Cleaning your filter is a simple process – you just need to use your existing aquarium water to wash the muck off the sponge. Never use hot water, tap water or distilled water! You want to keep the healthy bacteria on the sponge, not kill them. It can be challenging to find a filter that’s specially designed for a small aquarium, and that’s where the Penn Plax World Aquarium Filter comes in. Small and inexpensive, the Penn Plax World Aquarium Filter uses a disposable cartridge that combines carbon and zeolite for chemical filtration, along with a sponge that provides biological filtration. The zeolite crystals take care of the ammonia in your tank and the activated carbon stops harmful gases and odors. The filters attach easily to any air pump (which you need to buy separately), using your existing tubing. It comes with a bracket and suction cups to attach to your aquarium wall. Users say that in reality, these filters work best for tanks up to 3 gallons so you might find it’s best to use this in combination with another filtration method – for example, an undergravel filter, or a few moss balls – or you could also try a stronger air pump to increase the water flow. You can also pop two in as they’re so tiny. The cartridge in this filter needs changing regularly. As it’s a small filter it gets filled up quickly – so make sure you stay on top of replacements so that your tank stays healthy, fresh and clean. 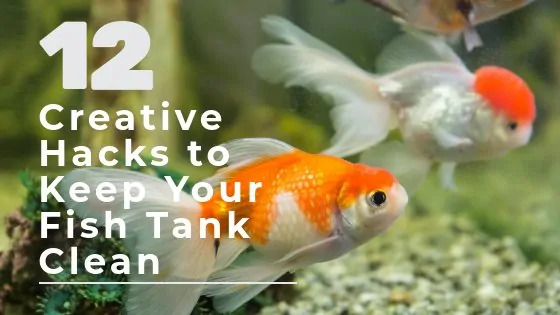 Although it’s technically possible for fish to thrive in a small aquarium without a filter, it can be hard to keep a tank properly clean without one, as little tanks become dirty and stagnant much more quickly. Filters perform an important function – they remove waste and debris from water. This includes things like old food, fish waste, decaying organic matter from plants, dust and any other free-floating particulates, and chemicals that can become dangerous for your pets. While it’s important to get rid of all of this stuff, it’s particularly critical in the case of fish waste. Excreta is your fish’s natural way of cleaning their internal systems and removing toxins. 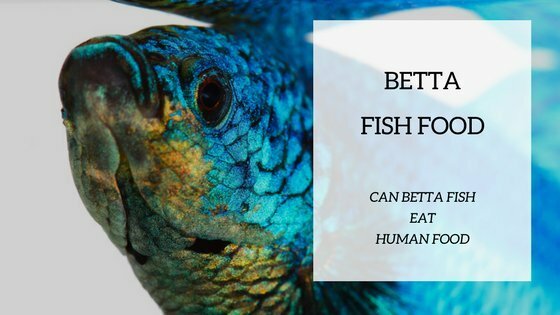 But where do those toxins go after your fish have gotten rid of them? Straight into the water inside their tank. In a natural environment, this waste is heavily diluted and swept away on a current or eaten up by healthy bacteria. However, things are different in your tank where the water levels are much lower – and there’s no natural current to wash everything away. If fish waste isn’t removed regularly and thoroughly, it can build up and become concentrated in the water. This can poison or even kill your fish. The early stage of this process is called ammonia stress or nitrogen stress. If you don’t take steps to correct it immediately, it can tip the balance and turn into ammonia poisoning, which is also known as nitrogen poisoning. Broadly, there are three common types of filters you can look at using in your tank – usually in some kind of combination. Mechanical filtration works by physically trapping the debris in your aquarium. Mechanical filters use a “medium” to strain the water and catch this material – often it’s a sponge, pad, floss or other kind of material that’s placed inside a filter casing and provides biological filtration. Sponges, pads and blocks for mechanical filters (usually power filters and canister filters) come in a range of shapes, sizes and densities. Make sure you choose one with the proper pore size – a pore size that’s too fine will clog very quickly, and a pore size that’s too large won’t trap what it needs to. You can also look at filter floss or filter wool for your filter. The rate of water flow through a mechanical filter is the key element in keeping your aquarium happy and healthy. If the water flow is too fast or slow, it will negatively impact the filtering capacity. Manufacturers tend to set the flow rates, but be aware that your tank might need a different rate of flow. Mechanical filters need to be removed, cleaned and replaced on a regular basis. Otherwise the trapped material will build up and decompose back into your aquarium, and the healthy bacterial colonies in your media will die off – which defeats the whole point of having a filter in the first place. Bettas are delicate fish and they don’t do well in water that has a strong current. So is it overkill to use a mechanical filter in a 5-gallon tank? bettas like calm water with little or no current. Some bettas have long tails or large fins that can catch a water current and act like a sail – this can cause stress and fin damage. A mechanical filter isn’t essential – you can do regular water changes and use other methods to keep the water clean. By using one you could put your delicate fish at risk. It’s easy to see both sides of the argument here. But ultimately, you need to consider your own aquarium and situation and make the decision that is best for you and your betta. Biological filters use living organisms to help your fish tank break down waste naturally. These can include plants as well as small invertebrates. As long as there are a number of places for micro-organisms to grow, a biological system can be a natural and effective choice. To begin with, you might choose a mechanical filter, which usually combines carbon with a bio filtration medium – this is what the healthy bacteria grow on. This medium usually looks like blue floss but it could also be a sponge or a rubber pad. There’s also gravel. This is actually the most critical element of your biological filter system, as gravel provides a large surface area for your micro-organisms to flourish in. You must take care of your gravel by allowing it to grow its colonies of bacteria before you add any fish – about two weeks in the tank with some plants, just by themselves with water, will do the trick. Add 2 or 3 fish, let them establish themselves for a few weeks, then add some more. This helps the micro-organisms grow strongly without being overcome by waste. Make sure you clean your gravel properly during water changes. Use a gravel vacuum: we suggest trying the Laifoo Aquarium Vacuum Gravel Cleaner that you check out on Amazon, and NEVER use hot water or you’ll kill your little beasties. Plants are also an important part of your bio-filtration system. Some aquarists like to cultivate a special algae wall, but a more attractive option is to choose from the wide variety of potted, rooted or free-floating plants that you can add to your aquarium. Make sure you choose plants that suit the kind of fish you plan to stock, as well as the heaviness and size of the gravel you have added. Lastly, you can also choose to add a range of invertebrates, live rock or live sand. If you want to add some invertebrates such as shrimps or snails, make sure they are compatible with Betta Fish. Here is a list of intertebrates that can live with Betta. Adding some snails or crustaceans like redclaw crabs brings also some benefits when it comes to algae control. These kinds of animals need special diets and care schedules, so make sure you do your homework so that you can look after them properly. We suggest to check out the best dealers if you are going to buy invertebrates. We recommend The Shrimp Farm. You can check them out here – please note this is an affiliate link. Alternatively you can click here. Chemical filtration refers to a process that uses activated carbon, resin or other adsorbent materials to get rid of dissolved particulates in your aquarium. That’s right – adsorbent, not absorbent. Adsorbent means that matter sticks to the surface of the carbon or resin rather than soaking into it. Activated carbon is full of millions of tiny holes or “pores” – these act as little pockets that collect dissolved material. This process can remove chemicals like copper and chlorine, as well as dissolved proteins and carbohydrates like those found in fish food and waste. Once all these pores are filled up, the carbon isn’t effective anymore and it will start to act as a biological filter instead as bacteria land on the surface to eat up the material. Be aware though, that carbon can absorb many tank medications, especially antibiotics. You should probably remove any carbon before adding antibiotics to the water – just remember to put it back after the treatment period has finished. Resins are less popular than carbon, but they can still be an effective choice. They attract a special molecule such as ammonia or nitrate. Resin can help to strengthen the filtering ability of carbon, so they’re often used together. Ultimately you need to choose a filter based on your aquarium and the kind of betta you will stock in it. Bettas tend to do best with gentle, low or no flow filtration. If you’re thinking about a mechanical filter or internal filter with a pump, make sure you choose one that has a slow flow rate or a rate that you can change. If you’re stocking delicate varieties, like those with long tails such as the half-moon betta, then it would be better to have no movement in the water at all. What kind of filter media it uses – sometimes having all three methods of filtration can give you the best water for your tank.In other cases – for example if you want to plant out your tank – just one or two might be better. That makes biological and chemical filters a good option for these tanks. Undergravel filters can also be an option. Reliability – will it perform well? Clog up or break down? What happens if the power goes out while you’re away? Talk to other fish owners to understand their experiences and read up about the kind of filter you’re considering. You can also build your own filter – here’s a short video that shows you how. The first thing to watch out for is how clean your filter is. If you’re not regularly removing your filter media and cleaning it, then debris is stuck in it and decomposing – and that means your filter isn’t working properly. The second thing to watch out for is how clean your filter is. Get the point? The third thing to watch out for is current flow. Your fragile bettas might be fighting a current that you thought was fine – remember to check for distress and adjust if necessary. 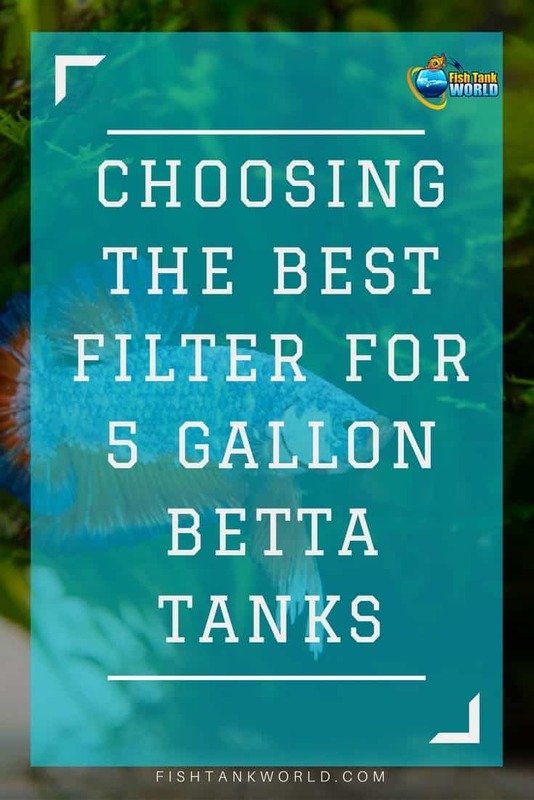 As we’ve said, when it comes to filtration, the best filter is the one that works for you, your bettas, your tank, and your individual circumstances. Biological, chemical, mechanical or a combination of all three – it’s up to you. If we were putting together a new 5-gallon tank for bettas, then the Marimo Moss Balls would be our first pick for filtration. Because marimo moss balls come in a range of different sizes, you can add as many or as few as you like. They don’t need a lot of care beyond occasional rotation (and you might find your betta does that for you), and they’re inexpensive and easily replaced. There’s no worrying about current or water flow with a moss ball. And as these moss balls also don’t make any noise, they can be a terrific choice for an aquarium that’s in a bedroom, for example, or a desktop tank at work. This option packs a powerful punch – it’s hard to go past something that is not just a biological filter but also a living plant, eco-friendly, cute décor item, algae inhibitor, snail-friendly and stimulating toy; all in one pretty package!